Regarded as one of the twentieth century's most influential martial artists, Bruce Lee is a master of martial arts techniques and hand-to-hand combat skills. 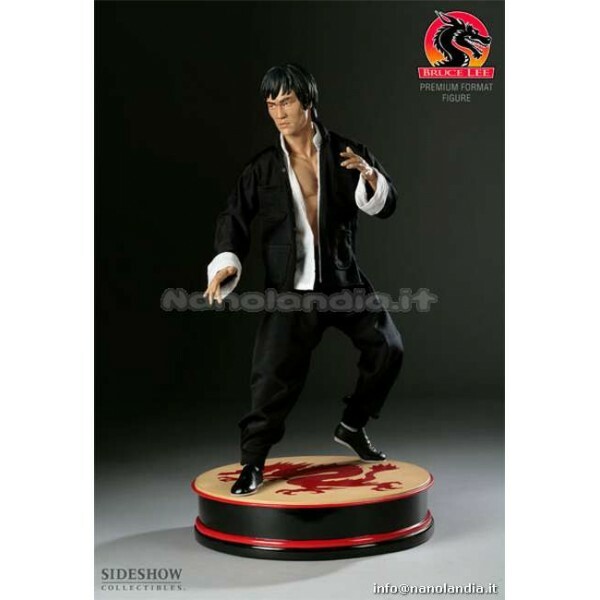 He endures as the champion of kung-fu film history, and he is credited with bringing Chinese fighting methods and philosophies to the western world, staring in martial arts films and later developing his own fighting style that melds Eastern philosophy and precision with western boxing styles. The legendary Bruce Lee's outstanding skill, unrivalled speed, and masterful techniques make him one of the world's most renowned kung-fu artists. 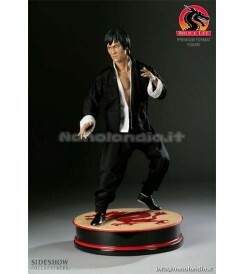 The Premium Format Bruce Lee figure presents the kung-fu master poised for combat. Each figure is expertly sculpted to Sideshow's museum quality standards, dressed in tailored, real fabric clothing. Each piece is hand-cast of highest quality polystone, hand finished and individually numbered.